Learn the best way to copy or convert DVD of movie The Hunger Games 1/2/3. From time to time, you may find that watching movie on DVD via TV or computer screen is not as convenient as playing it directly on the go. For instance, if you have the classic hot The Hunger Games movie series on DVDs, you are suggested to reproduce The Hunger Games DVDs on your iPad, iPhone, PSP, Samsung, HTC, Galaxy Tab/Note, or other Android devices with a fast DVD ripper. It is a wise idea to add DVDs The Hunger Games such as Catching Fire and Mockingjay - Part 1 to your movie collection. Once added, you may enjoy it anytime you want, share it with intimates, watch it repeatedly or pause when you have something else engaged. Now there is a better idea to enjoy DVD The Hunger Games, which will release you from the worries of the loss and scratch of DVD disc. Besides, you can play it on the go, edit when the digital copy is on your PC, you can burn The Hunger Games DVD to DVD. The best way related to this is to use the best DVD backup tool to copy The Hunger Games DVD to MP4/H.264, AVI, WMV, MPEG, MOV, and add it to the favorite list on your computer, or convert DVD The Hunger Games to Apple iPhone, iPad, iPod, Apple TV, and Android, PSP, etc. Not all DVD ripping tools can do this for you, many of which may crash while backing up those copy-protected DVDs The Hunger Games: Catching Fire, The Hunger Games: Mockingjay - Part 1, etc. 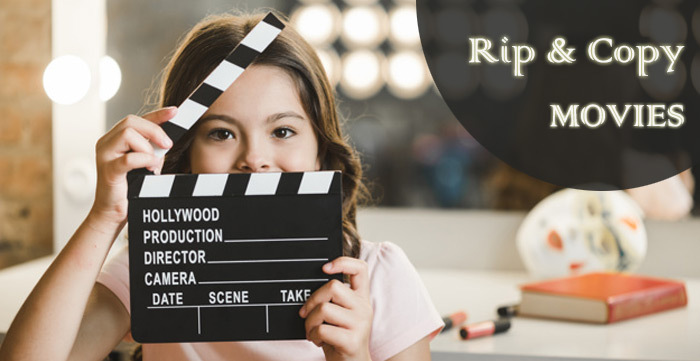 WinX DVD Ripper Platinum is one of the best solutions to copy and convert DVD movie The Hunger Games to computer, which can automatically select the right title out of 99 ones for you. Moreover, it is easy to operate and intelligent to customize. So it is strongly recommended to both beginners and experts. It is also worth mentioning that it is well compatible with Windows 10. Before you use it to copy DVD The Hunger Games or other movies, like rip DVD Frozen, The Hobbit 3: The Battle of the Five Armies, Guardians of the Galaxy, etc, you should download it on your computer first. Run it, you'll notice that the UI is clean and user-friendly. Click "DVD Disc" button on the upper left part to load target The Hunger Games DVD. If you have ISO image or DVD folder of The Hunger Games on your computer, you can also load them to this fast DVD ripper as source. Choose the output format. This DVD ripper supports up to 350 output profiles which are sourted into Backup Profile, Device Profile, Web Video Profile and Common Video/Music Profile. You can copy and convert The Hunger Games DVD to AVI, MP4, MP3, MPEG, WMV, etc, or convert DVD to iPad Pro/Air/mini, iPhone Xs/Mas, iPod, Samsung, HTC, WP8 mobiles/tablets, Surface tablet, Nexus, Kindle Fire, Huawei, Lenovo, Acer, and more. You can crop or trim video content, and also set a path to save the ripped DVD The Hunger Games on your PC. Then hit the big "RUN" button. WinX DVD Ripper Platinum will show you the copy process in percentage. This guide shows you how to free download The Hunger Games: Mockingjay – Part 1 (2014), including MP4 720P, 1080P HD movie videos, for watching on mobile, TV etc. Do you want to download The Hunger Games: Mockingjay – Part 2 HD MP4 movie video to watch on the go? Simply read this article to know how.